USDCHF is under the influence of Existing Home Sales, DOE Crude Oil Inventories, DOE Distillate Inventories, DOE Gasoline Inventories and DOE Refinery Utilization for USD and importing and exporting rate for CHF. Since the previous low at 0.95755 this pair has been moving in choppy pattern. 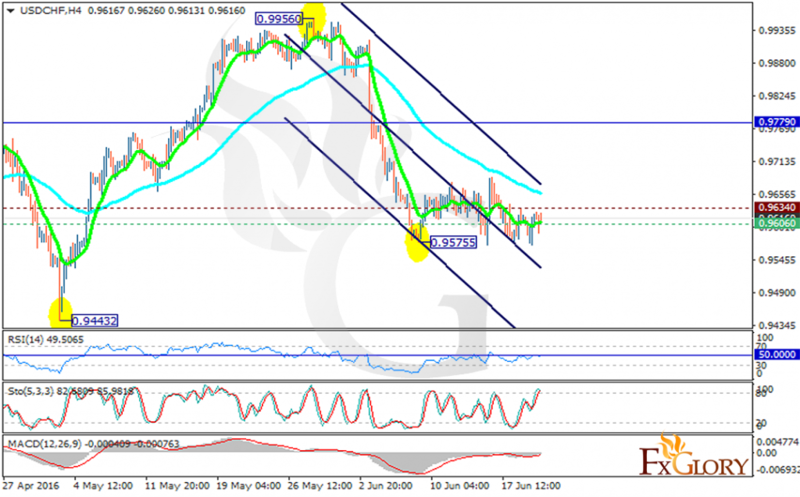 The support rests at 0.96060 with resistance at 0.96340 which both lines are below the monthly pivot point at 0.97790. The EMA of 10 is moving horizontally below the EMA of 75. The RSI is staying at the 50 level along with the MACD indicator which is in neutral area. The Stochastic is already passed the 80 level and there is a great chance of falling down. As the price is getting close to the support area further decline is more probable. Short positions are recommended with the target at 0.9570.